Many parents and teachers are using apps at home and in the classroom for literacy skill development for their children or students with special needs. Many are also using these apps for instructional or remediation purposes. We’ve even had reports of children learning to read with some of the apps available on the iPad and iPod Touch. To understand why children with special needs are responding so positively to these apps in the area of literacy, it is essential to examine the underlying “building blocks” of reading instruction. For this post, our goal was to identify apps that can be used to complement specific reading strategies (before, during and after reading) that are used in instruction or remediation for students with special needs. Concept of word can be defined as an awareness that spoken words match to printed words in the reading of a text (Morris, Bloodgood, Lomax & Perney, 2003). What better activity to work on concept of word than creating a book? New iPad and iPod apps makes this an amazing and interactive educational experience. Pictello, from AssistiveWare allows the user to create “talking” books with pictures-students can make their own story that is personal to them. We can’t say enough great things about this app. StoryPatch allows the student to create a story from a template (good for those who need some guidance) or from scratch. There is a bank of pictures to choose from to illustrate the story. Geekdad has an interesting article on StoryPatch as well. Rhyming is essential to develop phonemic awareness. Rhyming allows the child to hear and manipulate the individual sounds in words, and is a key skill for reading success. These apps focus on rhyming activities with popular characters. Superwhy! contains other activities besides rhyming: each of the four characters in the app allow students to develop skills in other areas of literacy. Blending and segmentation are two essential skills to develop phonemic awareness. In blending, students listen to a sequence of separately spoken phonemes, and then combine the phonemes to form a word. In segmentation, students break a word into its separate sounds. ABC PocketPhonics and Read&Write are both nicely designed and contain both segmentation and blending exercises. What’s excellent about both of these apps is the developers’ use of multisensory phonological awareness activities. Both contain letter tracing activities-as the student traces he or she can hear the sounds of the letters at the same time. 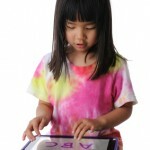 Multisensory techniques (VAKT) are recommended for those students who might be at risk for or have been diagnosed with a reading disability. Word Wagon is a new app that focuses on blending and spelling activities; the developer (Duck Duck Moose) always creates well designed apps. The background music is also great in this app. A note to developers: we need more well-designed apps with a strong research-base in the area of phonemic awareness. The alphabetic principle is the understanding that there are systematic relationships between written letters and spoken sounds. iSpyphonics allows you to do just that with customization; practice and learn letter sounds by adding a picture that is highly relevant to your child or student. Interactive Alphabet is another app that matches letter sounds with a highly interactive activity, and ABC Expedition is a nicely designed app for letter-sound matching with a “zoo” theme. ABC Song Piano uses music to teach the alphabetic principle; and Alphabytes is a brand-new app that incorporates many activities: animations, interactive alphabet activities, tracing and spelling. Shared reading allows students to access reading materials they might not otherwise be able to read on their own. in addition, it models correct expression and reading fluency for the student, as well as providing opportunities to access additional vocabulary. Interactive books on the iPad or iPod are a great shared reading experience. Books instantly become a more hands-on, engaging experience. We like the Moms with Apps reading section for reviews. Tumblebooks expands on their online e-book concept with a series of books; with the TumblebooksToGo Munsch 6-pack children can listen to Robert Munsch narrating (always entertaining enough in itself). We would classify these books as more animation, as there is not as much interactivity involved. 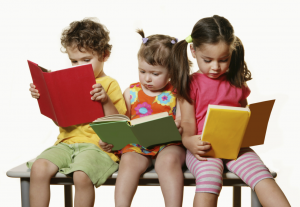 However, they are well-done and many children will enjoy their favourite stories come to life. Just when you thought Alice in Wonderland couldn’t get any more crazy, out comes Alice for iPad. This is really an extraordinary app – it takes great advantage of the tilting and rotation features of the iPad. Incredibly well designed and interactive, we think its the best iPad e-book around – it motivates children and adolescents to read classic English literature (first published in 1865!) and really brings the story to life. Dr. Seuss’ ABC is a classic book that emphasizes phonological awareness. This interactive iPad story app allows children to interactively explore the sounds of the letters. For an interesting take on interactive books and children’s literacy, read: How Will iPad Picture Books Affect Young Readers’ Literacy? The video below gives you a sense of just how interactive this book is. Incredible development. A word or concept map is a graphic organizer that promotes vocabulary development by thinking about terms or concepts in different ways. Students can develop a definition, synonyms, antonyms, and a picture for a given vocabulary word or concept. This technique can improve reading comprehension, but is especially effective for students who are visual learners. Research has demonstrated that attaching a picture to a word or concept, strategic processing using mindmapping and using mental imagery when reading could enhance comprehension for children who have learning difficulties or disabilities. iThoughtsHD, Popplet and SimpleMind are mindmapping apps that allow students to word or concept map. Popplet is especially effective for using visual imagery as it allows the student to draw within the app. For detailed reviews of these apps please see our previous post in this series: There’s a Special App for That – Part 5: 5 Mindmapping Apps for Students with Learning Disabilities. StoryBuilder is a multi-purpose app designed to teach story structure. In the process, students learn sentence structure, sequencing and inferencing. The app develops comprehension by asking children to respond to questions about a picture, helping them to structure the story. The child’s answers are recorded within the app. Then the the answers are put together to form a story. A great concept! There are also multiple levels included in the app; level two requires inferencing. Sentence Builder is an app designed for children to learn how to build grammatically correct sentences. It asks the child to form a sentence about the picture. We find that level one is a little too complex so the app might be too difficult for those students who are starting with very simple sentences structure. Once again, we recommend Popplet – ideal for sequencing in order to begin structuring the writing process. Apps for older students (upper elementary, middle school and high school). We would love to see more apps developed with high interest material but lower level reading skill. There is a lot out there in print that would be great as interactive books for older students. Apps for reading comprehension. We strongly advocate for apps with a research base in reading instruction. Every day, new apps for literacy are being developed and are certain that we will see apps in these areas soon… In terms of assessment, we recently heard of a brand-new app that was developed for Reading Assessment called Reading Remedies by Needleworks Software. The app looks promising with a reading assessment in six areas of literacy with suggested follow-up activities to teach specific skills. We’re looking forward to testing it out! A final note-we are researching any apps out there for students with special needs who learn to read visually (non-phonics based, and beyond flashcards). Please send us feedback or suggestions! For detailed information on research and best practices in reading instruction, see the National Reading Panel’s Putting Reading First: The Research Building Blocks For Teaching Children to Read (2001). Thanks for reading; please let us know what you think! Great list of apps. I look forward to trying them out. Please consider donating to our Donors Choose project, “iPad For Preschoolers”, aimed at teaching my preschool students with the use of cutting-edge technology. Hi Andrea–I had some time tonight to look at your website and blog! Wonderful work! I like your topics and your writing style with links back to the research! Very nice. I am a consultant in a county office in Madera, California. I will actually begin working with a Title I funded school support called RSDSS or Regional System of School and District Support. We support schools and districts in Program Improvement. During the past year, my husband and I connected with a cousin, and four of us started e skills learning. We have developed about 12 content area applications. Please take a look at our apps. They are not flashy apps but designed to provide student practice with foundational skills in reading, language, and mathematics. Let me know what you think. I am looking forward to working together on the presentation for ASCD. I have been coming to this site for some time now Nd always find great insights and quality information. I am writing in response to your mention of the need for apps for older students. I am a speech/language pathologist working with students grades 7-12. My husband and I just released our first app, Enchanted Dictionary on 12/1/2011. It focuses on teaching vocabulary by having the students create the definition from words that are floating on the page. Many of my students have difficulty using vocabulary from their classes because they can’t explain/define the terms. When using Enchanted Dictionary they begin to focus on the language of the definition. Let me know if you are interested in taking a look at it and I will send you a promo code. Thanks again for the great resources you provide. understanding anything completely, however this paragraph provides nice understanding even. I am browsing this web page and reading very informative posts here.